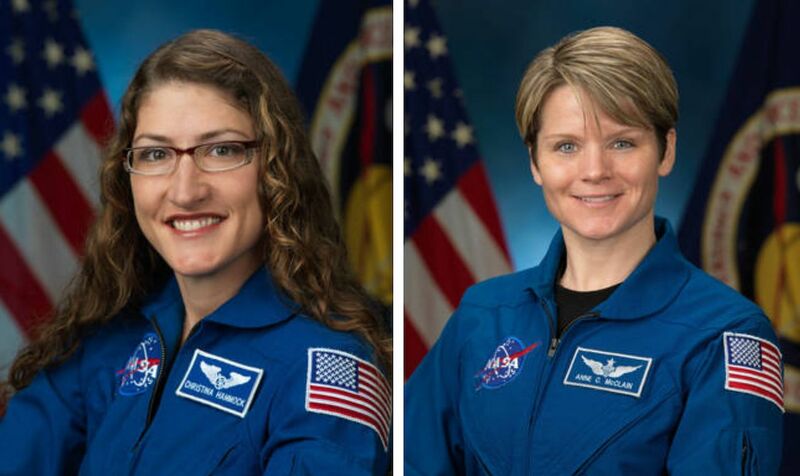 On March 29, NASA astronauts Anne McClain and Christina Koch were scheduled to become the first crew composed solely of females to conduct a spacewalk outside the International Space Station. Part of Expedition 59, the seven-hour spacewalk would have made history and written a new chapter for women in space. Unfortunately, NASA just announced in a press release that the mission was being scrapped — partly due to a lack of sufficient outerwear. Properly fitting spacesuits are essential for the safety of the mission. While they are both still scheduled to take spacewalks in the coming months, they will now share those spacewalks with men. On March 22, McClain became the 13th woman to perform a spacewalk, and Koch will become the 14th on March 29, according to The Guardian. Spacewalks are mainly conducted for the purpose of repairs, scientific experiments, testing new equipment, and maintenance. This article has been updated on March 26, 2019.